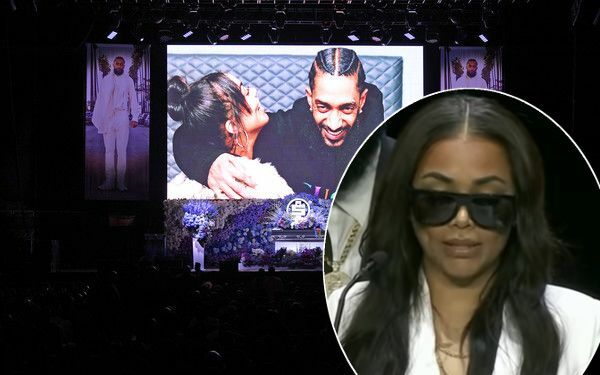 Thursday's memorial for Nipsey Hussle was a tough day for the masses. His longtime love of over 6 years, Lauren London, shared the most beautiful words she told him earlier this year, and it had everybody shedding tears for her. Watch inside. For a woman to express that type of love to a man, she was definitely loved correctly in return and felt as safe as she described. Beautiful. Lauren and Nipsey welcomed their son together, Kross, in 2016. Nip was also father to a 7-year-old daughter, Emani, with ex Tanisha Asghedom, while Lauren shares 9-year-old son Kameron with ex Lil Wayne. Our hearts go out to her and his loved ones. PREVIOUS: Megan Thee Stallion Hopped On Khalid's Official Remix For 'Talk', And It GOES!